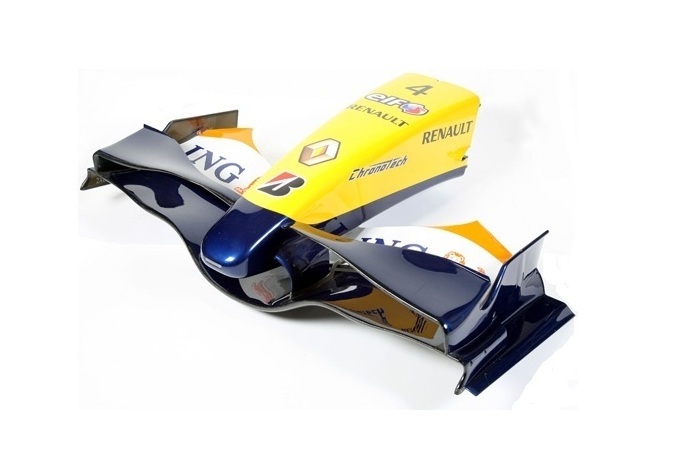 Complete Renault R27 nose cone. In perfect conditions. Can be mounted on stand or wall. Front spoiler manufactured in carbon fiber by Spyker for Its 2007 car. It still has the adhesives from sponsors and manufacturing marks.